You can never go wrong with a touch of blue in your home interior. 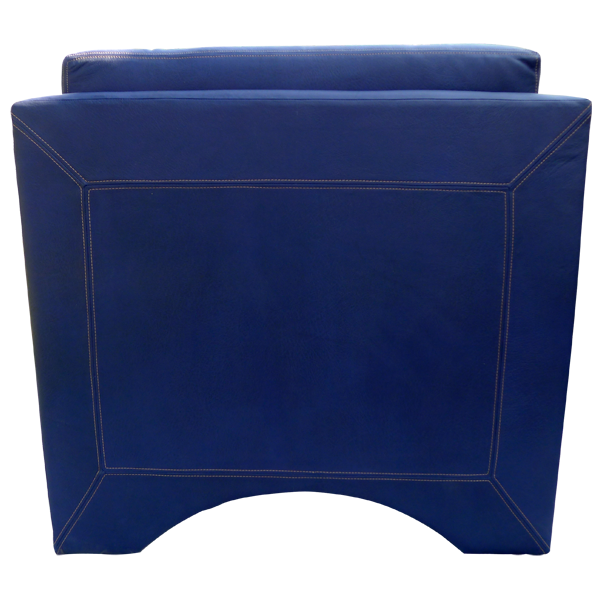 This contemporary style, handcrafted chair is upholstered in blue stained full grain leather. 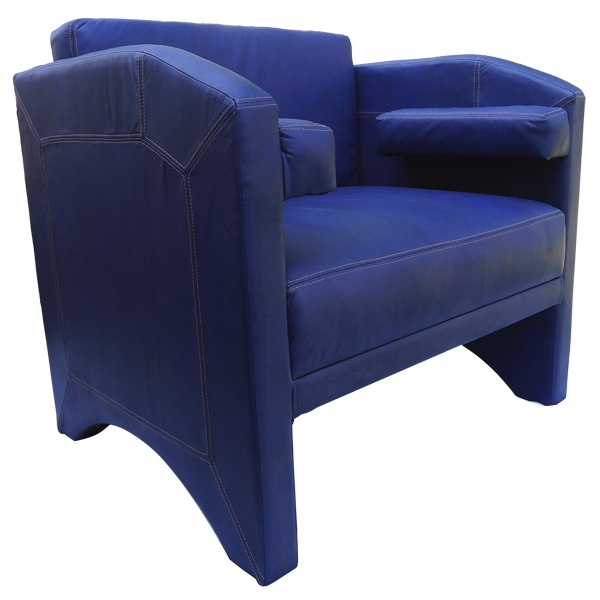 Both comfortable and functional, this chair will harmonize easily with your existing furniture. 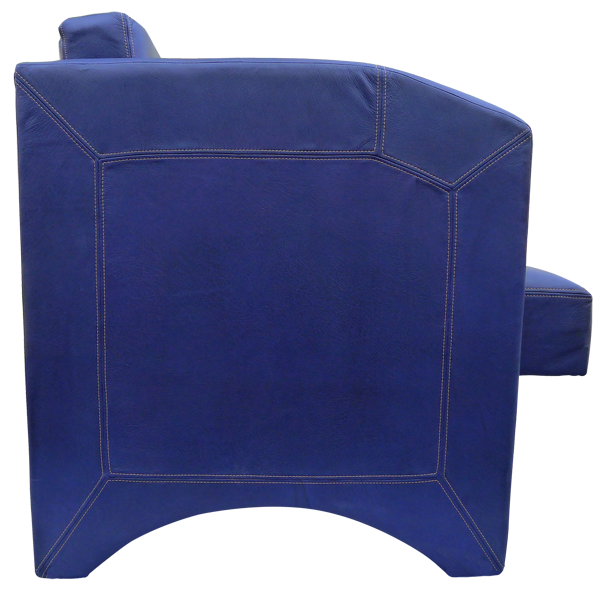 The chair has a wide seat and low seat back, with fully upholstered armrest. 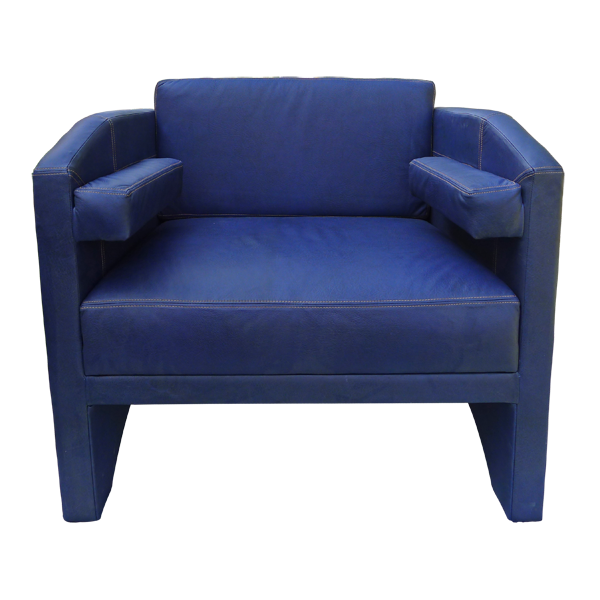 The leather upholstery on the sides of the chair and the reverse seat back are double stitched together for extra strength and durability. This chair is made with the best, sustainable wood available, and it is 100% customizable.